Eataly has finally arrived in Chicago! My friend described Eataly as the Ikea of Italian food which is a pretty accurate description since they have just about everything Italian you could ever want or need. Head upstairs and grab a glass of wine at the Vino Libero and enjoy some authentic pizza or pasta at La Pizza & La Pasta. Before you head out be sure to visit the famous Nutella bar or grab a bite of gelato from Il Gelato. 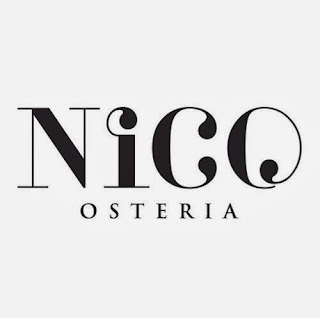 Nico Osteria recently opened in the newly renovated Thompson Hotel and it's been getting a lot of buzz. After reading this review from Cedar and Rush about the fabulous food and atmosphere I'm quickly making a reservation. Who doesn't enjoy shopping in an igloo? Head over to NoMI in the Park Hyatt to shop this mobile boutique featuring luxury finds from around the world such as signature jewelry and scarves from Paris. 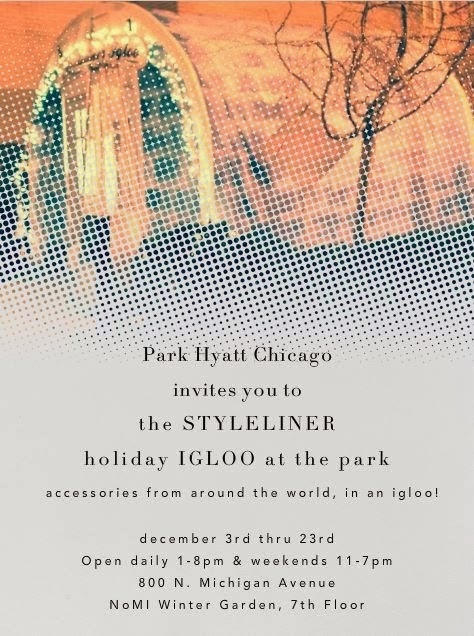 The Styleliner Igloo will be open daily from 1pm-8pm and 11am-7pm on the weekends. The ZooLights at Lincoln Park Zoo is a classic tradition in Chicago to visit with family, friends or a date. The lights will shine Friday–Sunday until December 13, at which point the lights be on nightly (except December 24 and 25) until January 5 (best of all this is FREE). The Christkindlmarket is the perfect place to take family visiting from out-of-town to see the sights downtown and stop to enjoy a savory crepe, roasted nuts and a German beer. 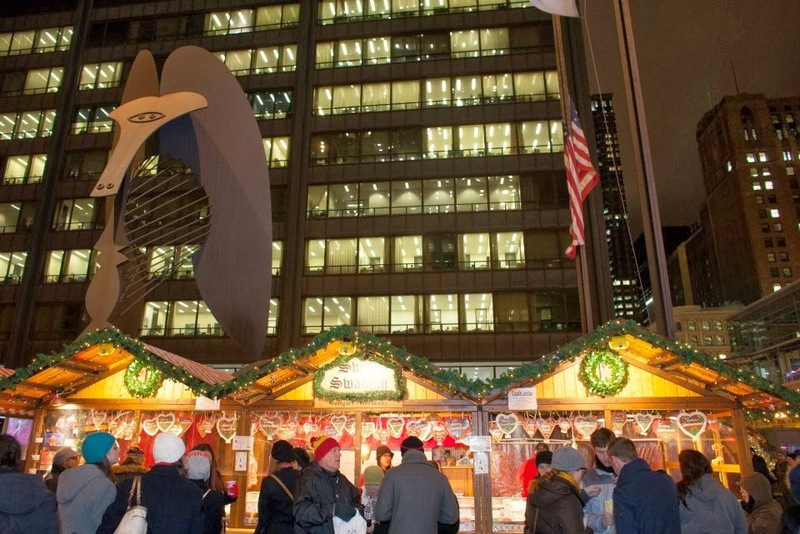 You can find the market in the Daley Plaza daily Sun - Thu 11am - 8pm and Fri - Sat 11am - 9p. I LOVE this round up and still need to get to the igloo! Thanks for referencing my review on Nico. Can't wait to see what you order and how you like it! Lincoln Park Zoo Lights and Christkindlmarket are two of my favorite things to do! I've been going to Christkindlmarket since I was in middle school! Such great December ideas! Nico's and the Igloo are on my to-do list for sure! I wish I lived in Chicago!! I've spent a few weeks there last fall and definitely left a piece of my heart there!! Chicago at Christmas must be amazing. Especially the Zoolights and the Christkindlmarket look fun!